So, hey! Happy December! 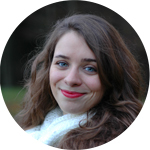 I want to commit to writing more blog posts because I love it and I love the blogging community. I start, stop, start, stop and want to finally get back to posting regularly. I decided to keep myself accountable by starting this ‘did you know’ series (a bit like my ‘life tips‘ and ‘good to know‘ past posts). And hopefully it helps me improve my finger writing and drawing skills, haha! If you struggle with cutting onions because they always make you tear up to the point where you have to stop what you’re doing and run to get a tissue (this has happened to me… a lot), hopefully this will be your solution like it has been mine. I went my entire life not knowing this until a few years ago when I heard it in a movie. I tried it and it worked! And I’ve been using this method ever since. 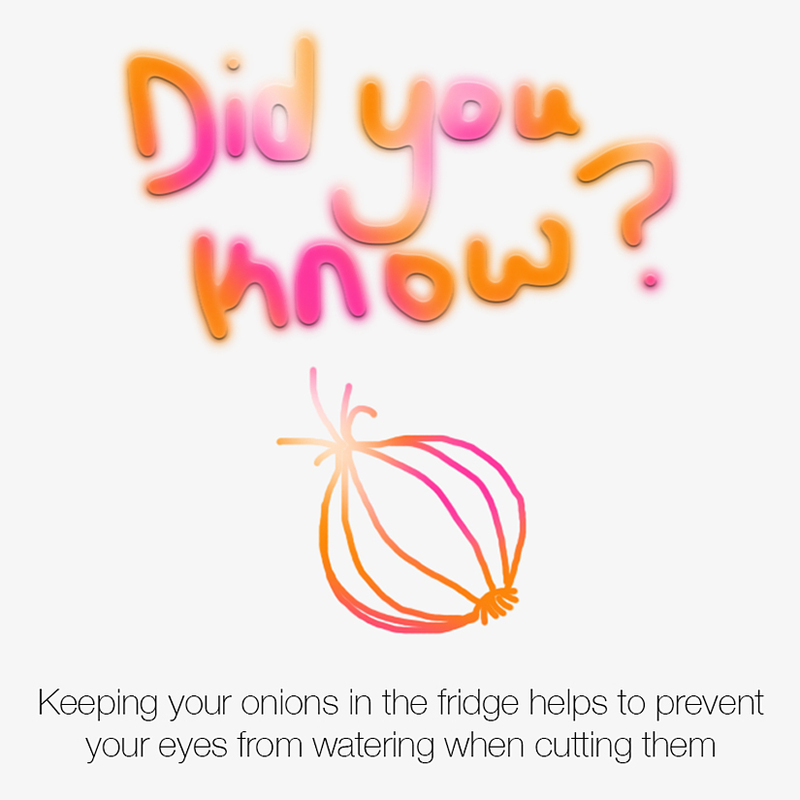 Placing onions in the fridge helps stop the enzymes from seeping out of the onion as quickly as a fresh, non-refrigerated onion would, which leads to our tears. I usually have at least one onion in the fridge and just remember to put in a couple more once I use them up, but sometimes I forget. This method usually still works pretty well if you put in your onion first thing when you start cooking and get to the onion fairly late in the game (doing a little search online tells me that 20-30 mins is all that you really need). I’ve read that it can possibly affect the texture of your onions and/or affect the other produce you have in the fridge, but I’ve never found this to be the case for me. However, if you want to be on the safe side, maybe stick to the 20-30 minute rule or try it out once to see what happens. Do you tear up when you cut onions? Do you use the fridge method? Another method? What other kitchen tips do you have? Please, do tell!